When Kathryn Bigelow announced that her follow up to “The Hurt Locker” was a film about the hunt for bin Laden, I was a bit concerned. While a manhunt has a different feel than a war film, I was worried that the two films would draw a lot of comparisons. While I enjoyed “The Hurt Locker,” [Read Sam’s Review of The Hurt Locker Here] the movie dealt with the psychological aspects of combat rather than portraying an accurate story of the Iraq war. 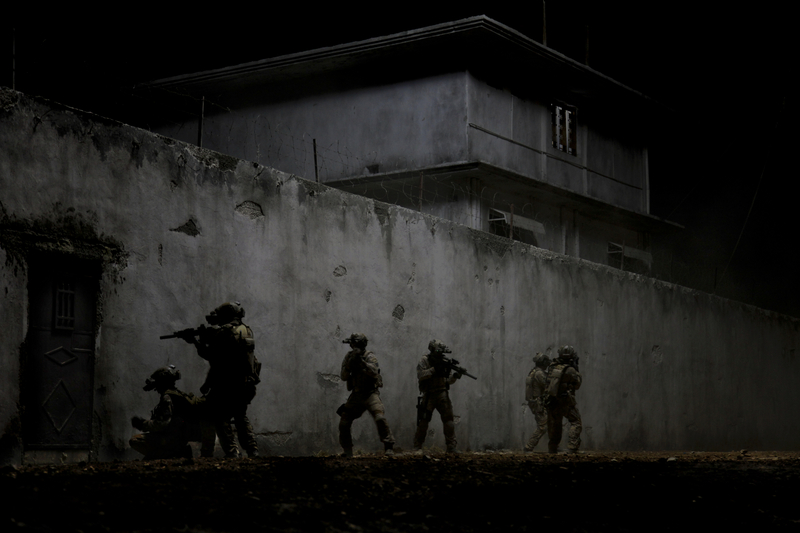 This is not the case with “Zero Dark Thirty“: Bigelow and Mark Boal set out to tell (as accurately as they could) the story of the hunt for bin Laden. 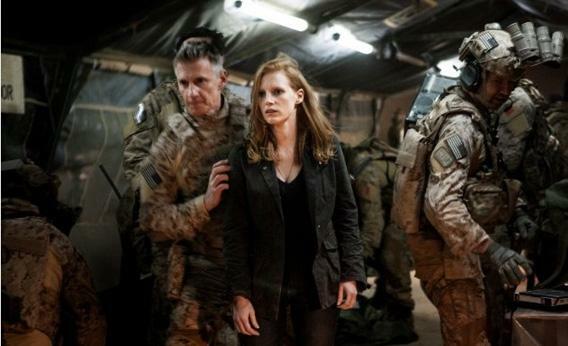 Maya (Jessica Chastain) is a CIA officer whose been in the agency for just a few years. She is assigned to work at the US Embassy in Pakistan in the months following the September 11th attacks. There has been a lot of discussion about the portrayal of torture in “Zero Dark Thirty”; the film opens with these scenes, and they are a bit a strong. It’s in these sessions with the detainees that the CIA learns of bin Laden’s a trusted courier, who uses the alias Abu Ahmed. If you follows the news, many of the subjects the film deals with (drone strikes, deadly suicide bombings resulting in the deaths of CIA Agents, etc) are familiar to you – the only thing the news may have lacked was the context. The film does an amazing job presenting years and years of investigation in a manner that is enthralling and entertaining. The time and patience the job required, and the lives lost during the search, are overwhelming. Midway through preproduction on the film, bin Laden was found and killed. The film does an excellent job in portraying this event, practically putting you in the shoes of Navy SEALS on the ground. Chastain does an excellent job embodying the character of Maya. Her character is persistent, and it’s often difficult for her superiors to manage her as she becomes more invested in the search. Films such as this are often shot in a fly-on-the-wall documentary style. Bigelow abstains from that, shooting the film like a traditional narrative. However, during the assault on bin Laden’s compound, they cut to POVs in night vision, which thankfully doesn’t delve into Paranormal Activity/found footage territory, and is rather effective. The film definitely gets better in the second and third acts; with so many characters, the first act is a bit difficult to follow, but it finds its legs. As far as Oscar-bait, I’m not sure this’ll give Bigelow a second Oscar; however, you have to hand it to her and Boal – I can’t even fathom the amount of research that went into putting this film together. “Zero Dark Thirty” may not be a film I revisit (other than the final scene), but it is definitely an entertaining and fascinating look into the hunt for bin Laden. Snoozefest except for the last half hour.